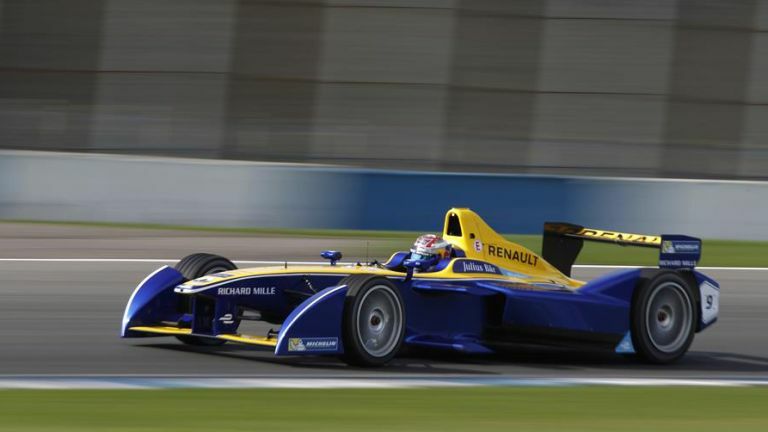 Earlier today, Formula E and Kinetik announced a partnership that will bring driverless car races to the Formula E Championship. The new race series is named Roborace, and they'll appear in the form of support races before the main driver championship. All of the races will be on the same circuits in the major cities around the world, around two hours before the main race. The championship will feature ten teams, each with two cars, and the races will last two hours. Unfortunately, there are no images of the car available yet, but they'll be a similar size and appearance to the current Formula E cars. They'll race using real-time computing algorithms and artificial intelligence. All vehicles in the race will be identical mechanically, ensuring the race is decided by software brilliance, rather than engineering know-how. "Everything we do here could be used in the road car. Everything about the battery, everything about machine vision and vehicle to vehicle communications. "Even something like a standard telecoms infrastructure could also be improved for online video and entertainment. A number of aspects in the developments we make will go into normal cars."